Your wedding cake is a big part of your big day! After all, everyone enjoys indulging in a delicious sweet treat. Tiers of flavorful cake, delectable filling, scrumptious frosting; there’s no doubting that you wedding cake will be a highlight of your reception. While you will certainly plan your wedding cake to perfection, there are actually some traditions that you may want to incorporate into your big day! Are you aware of what they are? Cutting the Cake. To smash, or not to smash…that is the question! Couples have been showcasing wedding cake cutting ceremonies during their reception, which is certainly a festive event! Together, they will slice a piece of cake, and choose to either feed it nicely to one another, or smash it into each other’s faces. Saving the Top Tier. Back in the 19th century, couples chose to save the top tier of their wedding cake for the christening of their first child. However, today, couples are choosing the still save the top tier of their cake, but for a different reason. Brides and grooms will freeze their cake, and then thaw it out to enjoy together on their one-year wedding anniversary. A Cake for the Groom. While the wedding cake is for the couple, we can all admit that it’s mostly for the bride. So, couples are choosing to create a cake just for the groom! However, groom’s cakes actually started popping up in the 17th century as small fruitcakes given to guests as favors at the end of the reception. 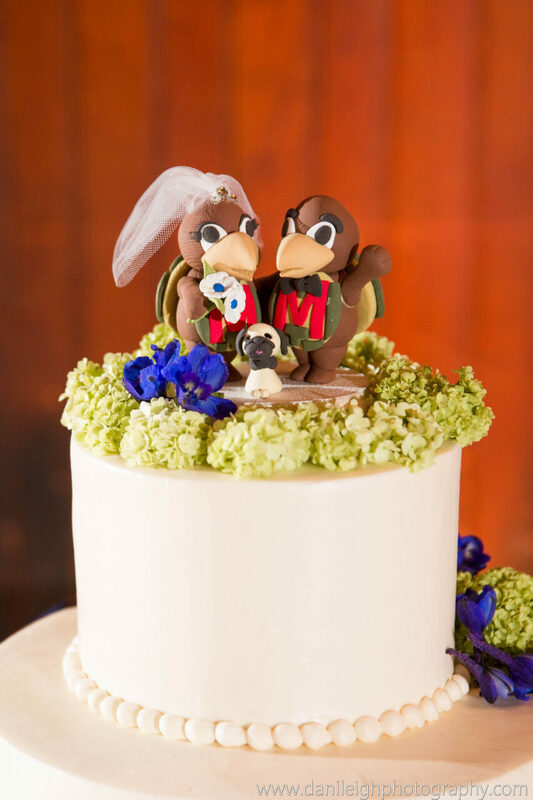 Today, groom’s cakes are designed to complement his interests, such as by showcasing sports-themed decorations. A cake is such a wonderful addition to a wedding! These are just a few traditions that you can take part in when it comes to your own big day sweet treat. Are you ready to plan your own edible delights with a wedding caterer in Baltimore, Maryland? If so, please get in touch with us here at Zeffert & Gold Catering! With a passion for creating delectable menus for events, we would be pleased to do the same for yours. Error: Error validating access token: Session has expired on Friday, 12-Apr-19 20:42:14 PDT. The current time is Thursday, 18-Apr-19 06:00:48 PDT.